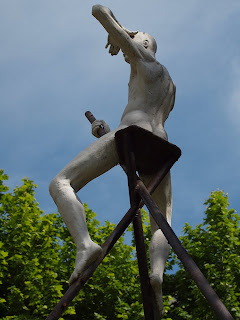 This poor man has been stuck up a pole in the gardens of the Palais Carnoles for as long as I can remember. 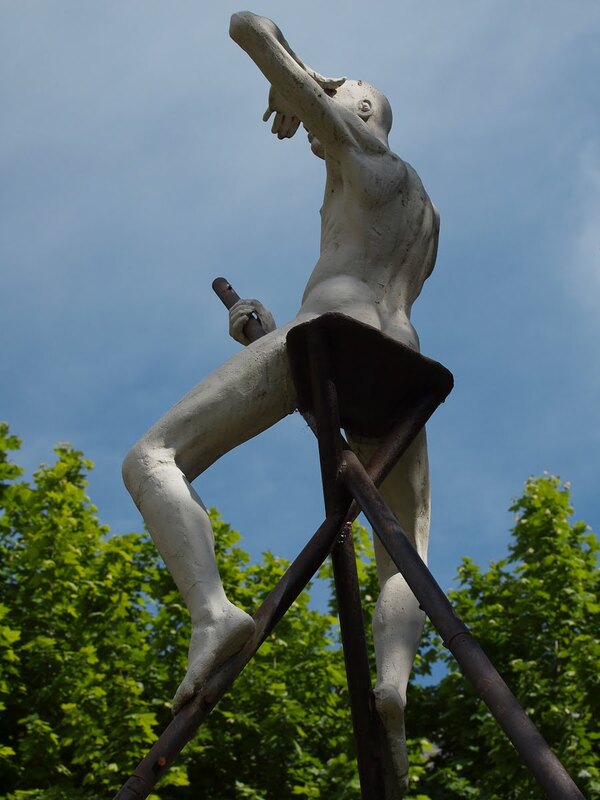 He's called Le Grand Guetteur (The Tall Watchman) by the sculptor, Nicolas Lavarenne (see video) He represents a man in medieval times who acted as watchman in the defence of his hilltop village. 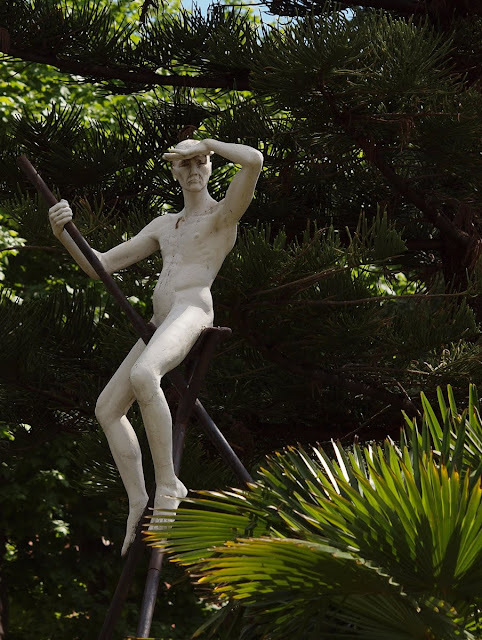 Depuis aussi longtemps que je me souvienne,ce pauvre homme est perché sur un poteau dans les jardins du Palais Carnolès. On l'appelle Le Grand Guetteur, oeuvre du sculpteur Nicolas Lavarenne (voir video). Il représente un homme du Moyen Age qui occupe la fonction de guetteur pour assurer la défense de son village perché. "I see no ships in sight".... that's a cool statue. Oh dear ... I had to look away ... that is a MOST impressive pole, Jilly. This is my favorite statue from now on :) Thanks for sharing! Tough job to do that naked during the winter I think. I'm with Steffe. I think it would be uncomfortable in any weather. This is funny. The guys immediately worry about how cold it would be up there. I am with them. I had to laugh at first--the poor man stuck up a pole--but the video is intriguing--thank you for posting it along w/the photo. That does not look like a very comfortable perch. Poor guy. Great photo, Jilly, but a tough job. I hope the real watchmen had more to wear. I love the statues in the garden around Palais Carnoles, and the art collection there is so interesting. I fell about over Julie's comment. I don't believe I shall try and top it!